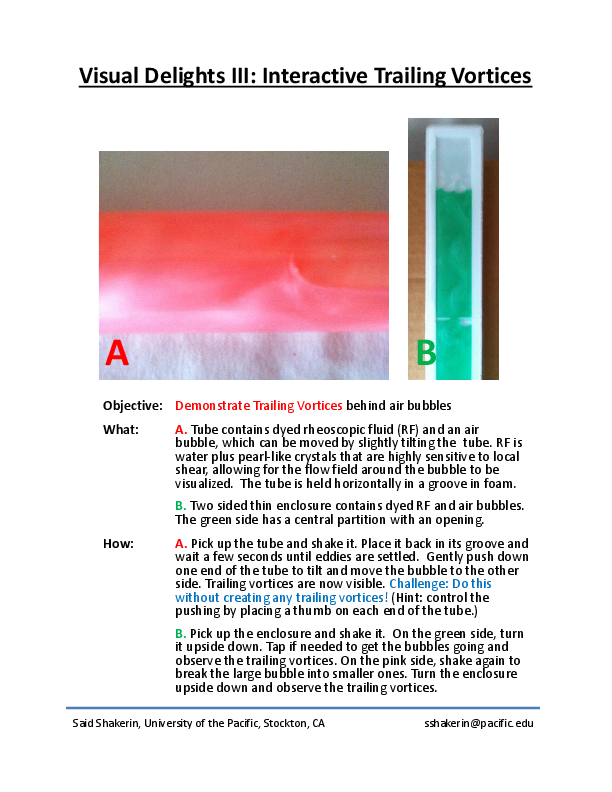 Goal: create simple fluids-based demonstration devices for classroom engagements and outreach activities. 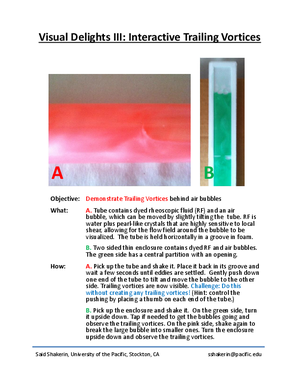 Further info: Shakerin, S., “Low-Cost Fluids Demonstrations…,” The Physics Teacher, to appear in 2018. Acknowledgement: Funding provided by the Faculty Research Committee of the University of the Pacific. * continuation of "Photogenic Fluids I-IV" exhibited at the 2014 GFM in San Francisco.